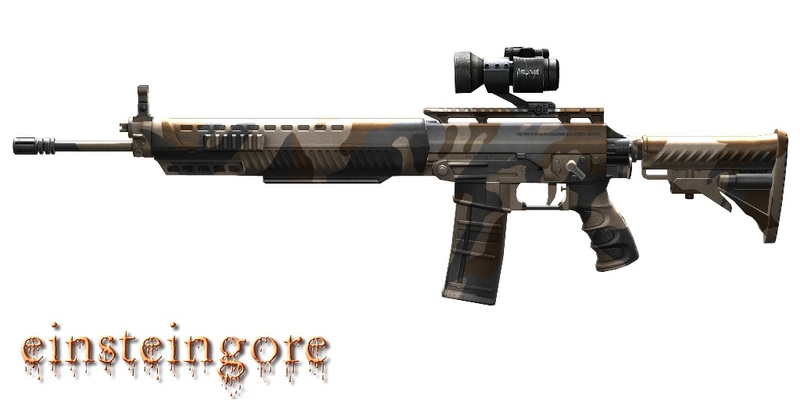 The SG556 CAMO is an Assault Rifle first introduced during the 03-24-11 Content Update. 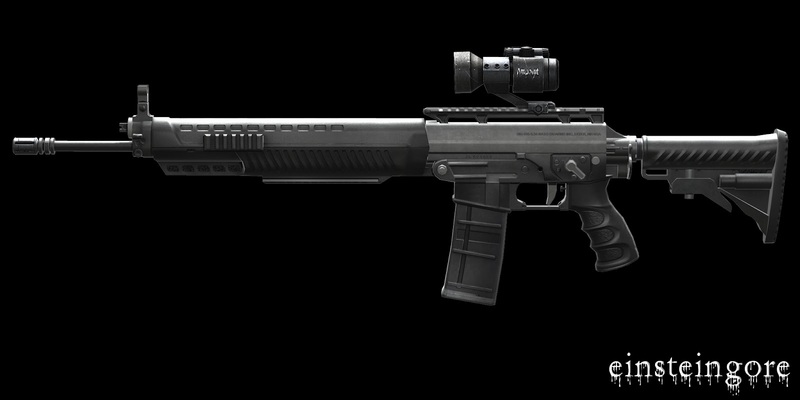 The SG556 is part of the SIG series of weapons. As such, it has high accuracy, but this model also has rather high damage which can be upgraded almost to the level of an AK47, fairly quick mobility with an average range and slow rate of fire. Its weakest point appears to be its stability. It is is comparable to the M16, but has very little bloom when shooting at a stand still position. It also offers a large variety of customization options, but is however, quite expensive by default. The SG556 has fairly good stability when NOT moving. In fact, it is able to kill enemies more easily from further ranges when stationary with its high accuracy and in 3-4 bursts. When moving however, the SG556 becomes less effective at longer ranges and spraying decreases the effectiveness dramatically in long range and close range alike. 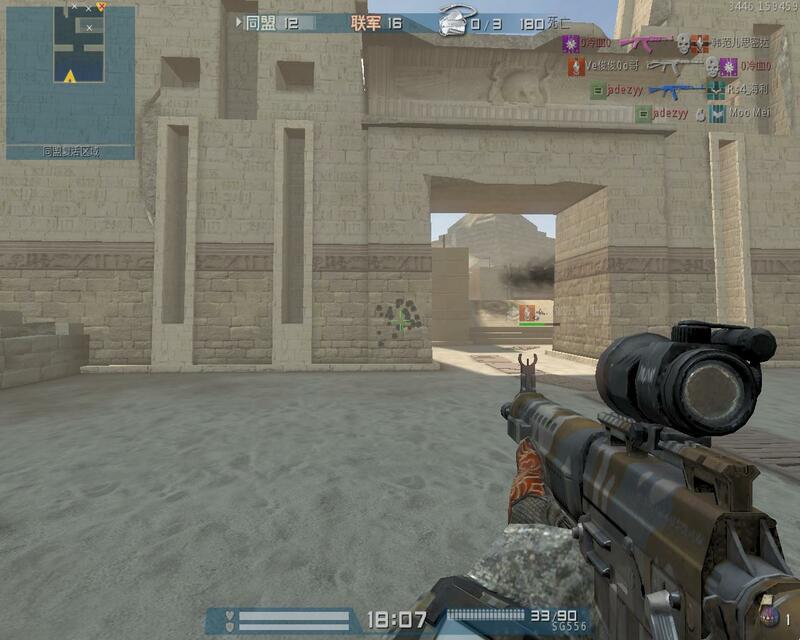 The SG556's scope can be used effectively when standing still in 4-5 bursts. 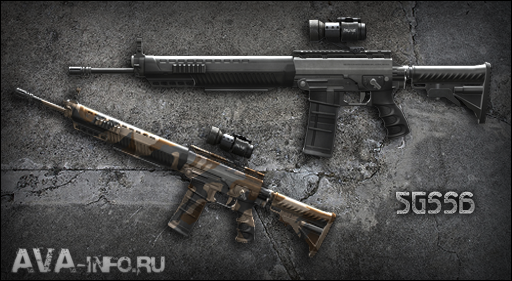 Overall, it is best to use the SG556 when crouching and tapping. When fighting in CQC, it is best to strafe, stop, and shoot in 3-4 bursts and repeat. Otherwise, move and shoot but make sure not to spray. 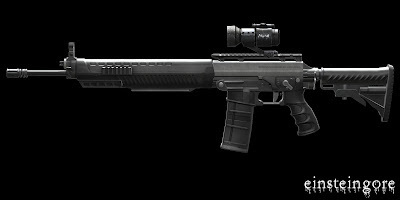 Overall, the SG556 is a very popular weapon which is unlocked at a somewhat high rank requirement(Sergeant First Class 2) and is overall, an excellent weapon if used efficiently.